GOSLEEP anywhere. 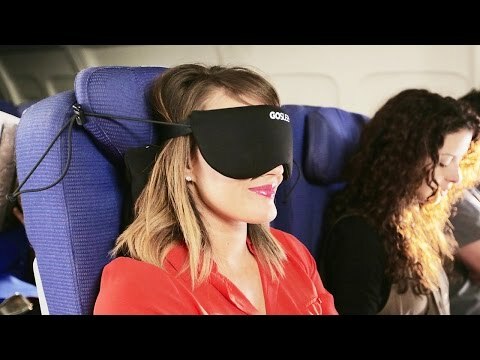 With a memory foam pillow, a sleep mask, and adjustable straps to keep your head from bobbing, any surface is fair snooze game. 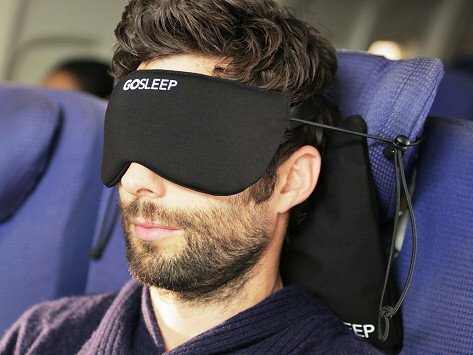 You’ll have neck support and an elastic strap to keep your head still for uninterrupted, dim-lit sleep. Dimensions: Pillow: 12" x 8.5" x 2"; Mask: 9.5" x 4"
I used this on my last flight, and it really helped me catch some zzzzs. Was able to avoid the dreaded head droop. Will use again and again. Now travelers can sit back, relax, and get some cushiony, comfortable rest.